Monaco manager Thierry Henry could make a swoop for Arsenal target Nicolo Barella during the January transfer window, according to a report. Italian midfielder Barella currently plays for Serie A side Cagliari, where the 21-year-old has impressed a number of Europe's top clubs over the past few seasons. Italian publication ​Calciomercato claim that the Ligue 1 giants have joined the race for Barella's signature. It is said that Arsenal have been touted to make a move for the highly-rated midfielder. "I'm not the one who sorts out the transfers. It's the agents, presidents and clubs who do that. I only think about Cagliari and to stay up in the league. We'll see about the rest. The interest from big clubs is pleasing, and makes me proud. It means I'm doing the right things." During the summer, Unai Emery added Uruguayan international Lucas Torreira and French youngster Matteo Guendouzi to Arsenal's midfield ranks. The duo joined the long list of midfielders at the London club, with Wales international Aaron Ramsey seemingly set to leave the club on a free next summer after failing to agree to a new contract. Both summer signings, Torreira and Guendouzi started in the middle of the park for the Gunners on Sunday afternoon as they recorded a 2-2 draw with Crystal Palace. 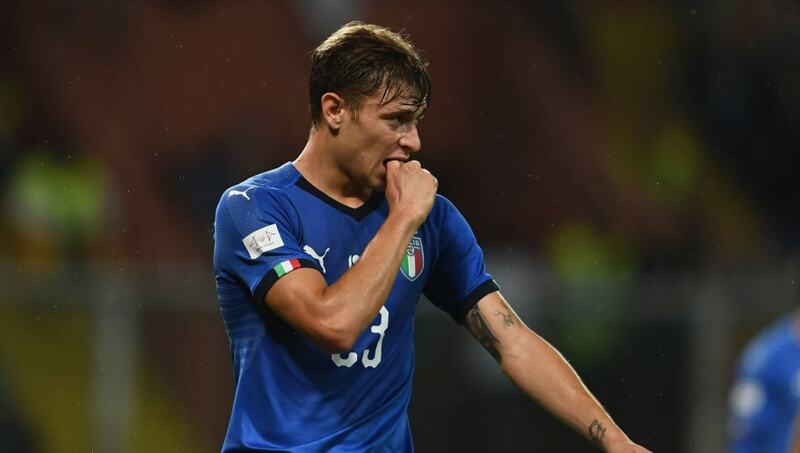 Italy manager Roberto Mancini gave Barella his international debut in October with the youngster starting a friendly against Ukraine and UEFA Nations League encounter against Poland.